Since its inception, Elite Real Estate Group was built on an idea to provide a well rounded and all inclusive real estate agency in Siskiyou County. Established in June, of 2012 Elite Real Estate Group has had great success representing both sellers and buyers. This continued success comes from our anticipation of client needs, and constant communication. Elite Real Estate Group now has multiple agents to help you achieve your real estate needs in the most professional manner. Providing the most accurate market data to our clients so they can make the most informed decision regarding the purchase or sale of a property. Our team is well versed in today's market challenges such as foreclosures, short sales and refinancing issues that you may have to contend with. The team at Elite Real Estate Group will provide you with all the options available to help you through those trying times. Elite Real Estate Group is a FULL service Real Estate company that not only represents buyers, sellers and investors, we also offer full service Property Management for those who wish to just have a check mailed to them each month, we will handle the rest. Annual statements, monthly collection of rent, tenant placement, maintenance issues and/or finding local professionals to trouble shoot an issue. Elite Real Estate group is here to serve all your real estate needs no matter how big, or how small. We are always in your best interest! Not enough rentals, lots of qualified applicants. Let us help you fill your house today!!! Please click on one of the links below in order to use our online property management services. View maintenance requests, rent payments, etc. You Are Not Alone! Many people are underwater on their homes or struggling to make their payments. As agents with Certified Distressed Property Expert designation (CDPE), we are expereinced negotatiors, and will work with you and your lender to evaluate your options so that you can make an informed decision. 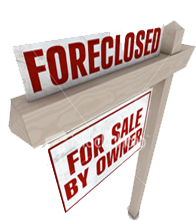 There are other routes you can take to avoid foreclosure, having less of an impact on your credit. 1 in 6 homeowners are behind on their morgage payments. In this economy many are facing tough times - Let us Help!